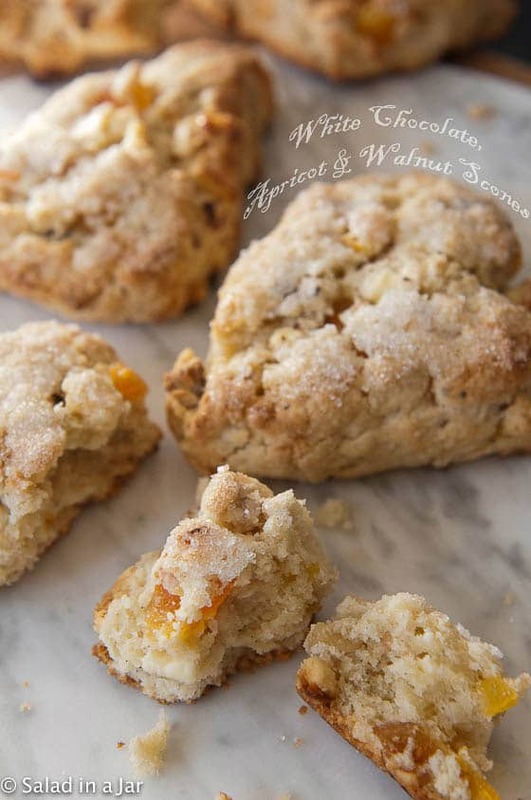 White Chocolate, Apricot, and Walnut Scones are rich and scrumptious breakfast scones filled with white chocolate chunks, dried apricots and toasted walnuts. A few years ago, I had the opportunity to volunteer in the kitchen at Bible Study Fellowship headquarters in San Antonio. Their motto emphasizes excellence in service to the Lord. The food they prepare is just one example. After helping to serve these scones for breakfast one morning, I was thrilled to get the recipe. These scones don’t show up in my kitchen very often because they are rich, a tad expensive, and definitely not low-calorie. But they are so worth it for a special occasion. 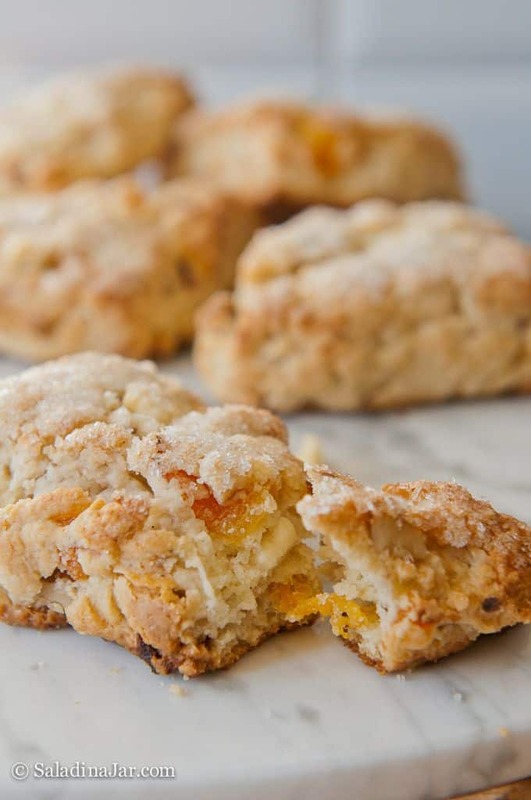 Even though I’m not a big fan of white chocolate, apricots, or walnuts on their own, they all come together in these scones to make a flaky and flavorful quick bread you will enjoy and remember. You can make these ahead of time and freeze the shaped dough, but don’t bake them until the day you want to serve them. They are best eaten the day they are baked, kinda like donuts. Coat each scone before sprinkling with sanding sugar. 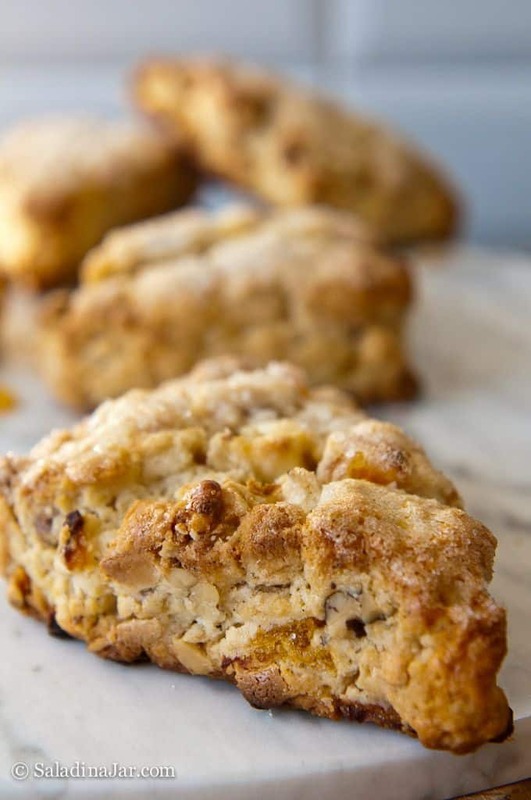 White Chocolate, Apricot, and Walnut Scones are a sugar-crusted cream breakfast scone studded with white chocolate, dried apricots and toasted walnuts. Mix together first four ingredients. Add cold butter and cut in with a fork until mixture looks like coarse oatmeal. In a separate bowl, whisk together heavy cream, egg, and vanilla extract before adding it to dry ingredients. 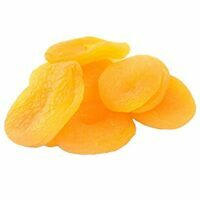 Stir in white chocolate, walnuts, and apricots. Mixture will be crumbly. 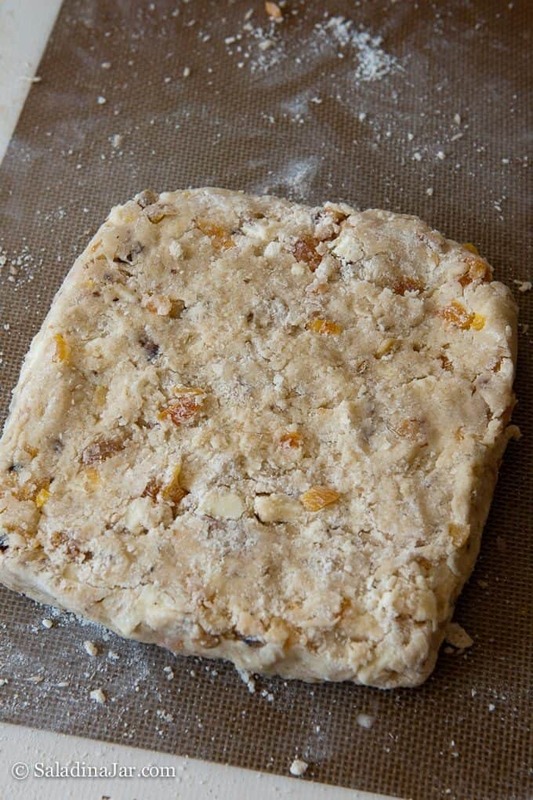 Pour crumbly mixture out onto lightly floured surface and use hands to press together into a large patty about 9-inches square and 1-inch thick. Cut into four pieces using the shape of a "plus" sign. 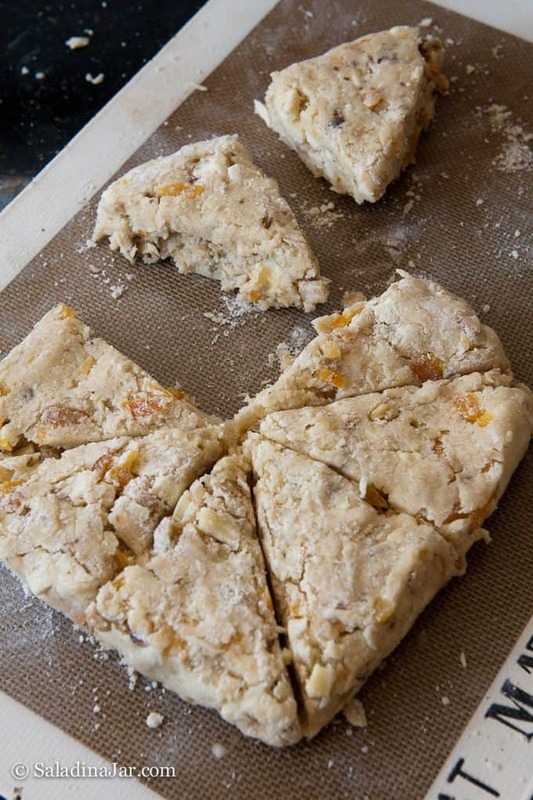 Cut each square in half diagonally, resulting in 8 scones. 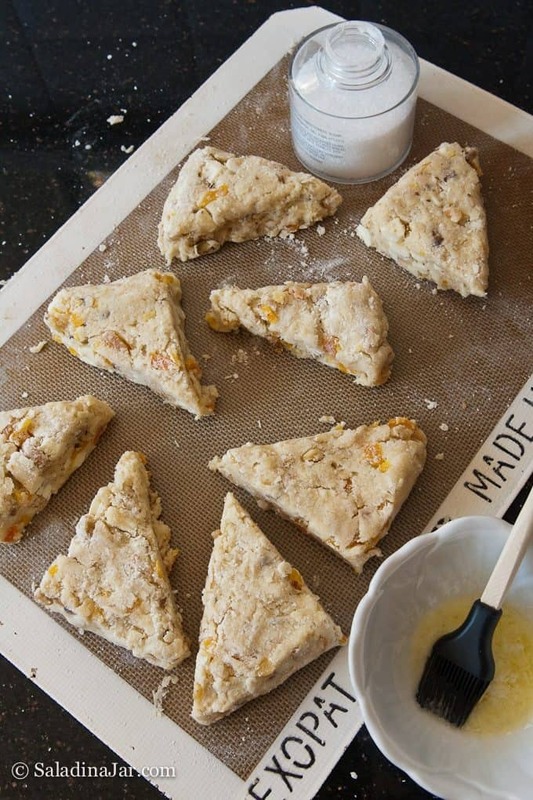 For mini-scones, cut each triangle in half. 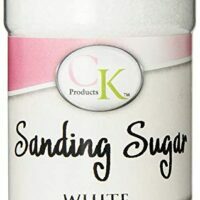 Brush tops of scones with heavy cream, then dip tops into a bowl of sanding sugar (easier than sprinkling sugar on top). 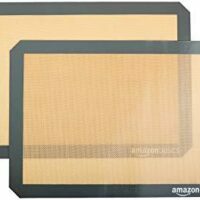 Place onto cookie sheet covered with parchment paper or silicone mat. Bake in pre-heated oven for 20 minutes. The bottoms of these scones tend to brown quickly, so I position them on a rack closer to the top of my oven than the bottom. Whether you need to do the same will depend on the cookie sheet you use and your oven. These look delicious. The picture alone is making my mouth water. I do love scones and a nice hot cup of tea. Scrumptious! I really have to buckle down and make myself some scones for the first time ever!